A production roadracer with no street-legal counterpart, the Yamaha TZ250 was a water-cooled update of the older air-cooled TD and TR bikes. 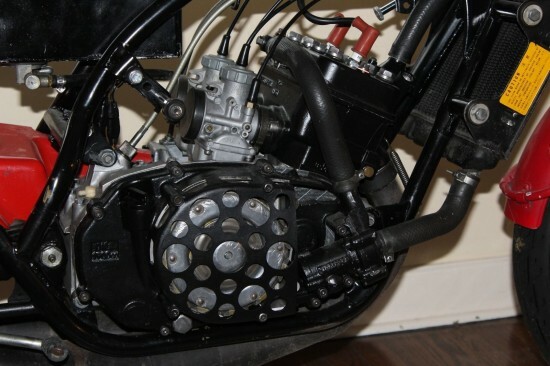 Designed so that privateers of the era could pop down to a local dealer and literally buy a bike over the counter that they could expect to be reasonably competitive, the TZ250 cleverly used many production parts to keep costs down: some engine parts were shared with the RD350 and various suspension bits were taken from existing machines. Unlike the often exclusive Hondas, the TZ was an everyman machine, with moderate pricing and strong support in the aftermarket and what it lacked in outright power, it made up for in user-friendliness. But keep in mind that “user-friendly” is relative: in spite of the small displacement, this is a very highly developed racing motorcycle and will require a correspondingly high level of attention to keep it running. 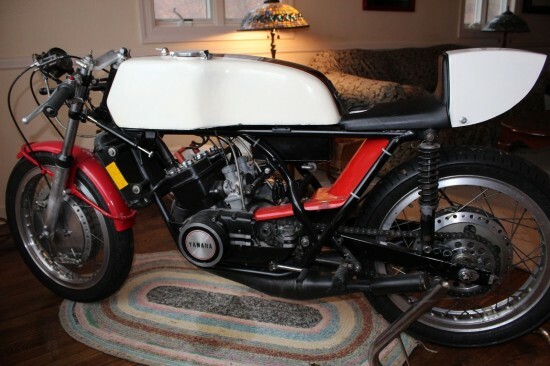 Luckily, it appears that, although this bike has been sitting a while, it appears to have been owned by a racer, not a collector, and the original listing contains tons of detailed information about what has been done to set up, modify, and maintain this machine. In 1981 I was newly out of high school, bumbling around, partying, chasing girls and trying to figure out my life. 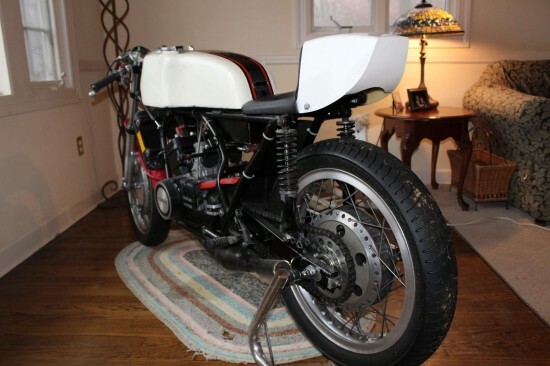 I desperately wanted to become a motorcycle road racer and was privileged to be offered a job as a mechanic at Cycle Works in Stamford, CT. As it turns out, a year later they were out of business. I say privileged because Cycle Works was one of the last “real” racing dealerships from the golden era of the nineteen seventies. This was the kind of shop that you could walk into and see a TZ250 or a race prepped RD400 for sale on the showroom floor or a TZ750 in line for service and race prep, I was twenty years old and thought I had died and gone to heaven. Years earlier, Mike Baldwin had worked there and had purchased and ran a TZ250. This TZ250. Learning to race on an RD350, I then graduated to this TZ250. The TZ hasn’t seen much action in the last ten years and has spent most of that time in my living room. A few years back, I redid the motor which included: a freshly plated “F” model cylinder, new pistons, rings seals, bearing etc…, crank rebuilt by Lynn Garland. It has not been started since. Previously I relocated the temp gauge holder to the opposite side so it wouldn’t interfere with the cables, I have the original tang. In early 2000, I replaced the original Koni’s with a pair of Works Performance shocks. The Koni’s will need to be rebuilt. 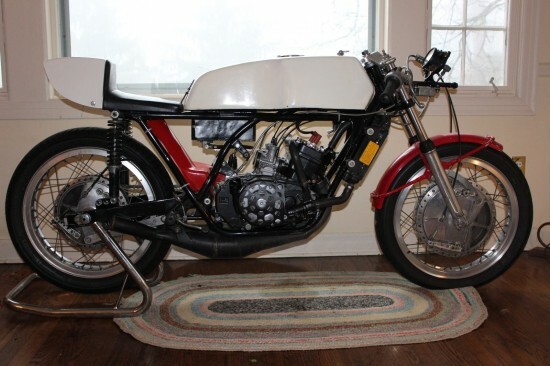 Other than that it is a really nice example of an early seventies GP bike. It will have to be gone through if you intend to vintage race, but it’s really to valuable to be ridden in anger. (It is really fast though!) It also comes with a State of CT title, yes in 1981 you could walk into motor vehicle and register you race bike for the ride. Never rode it on the street though. 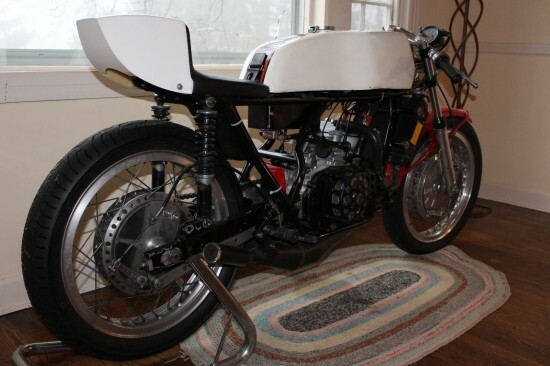 1974 saw the introduction of the TZ250B, but it was nearly identical to the “A” that was introduced in 1973. The later “C” of 1976 saw the frame changed to a more modern monoshock setup, but this twin-shock bike certainly has plenty of period charm.